Goal: To understand residents’ aspirations regarding the natural and agricultural landscape of the community. Based on findings from previous interviews, this tool aims to investigate the aspirations of present and prospective residents with regards to the natural and agricultural landscape in and surrounding the community. The aim is to examine, in greater depth the urban/rural expectations and aspirations of residents towards living in the peri-urban interface, and to start clarifying whether this reflects an inclination towards rural or urban lifestyles. 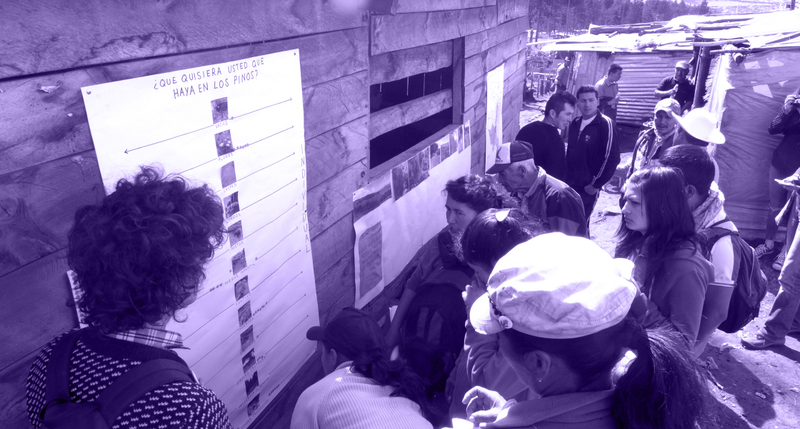 Participants are asked to choose which lifestyle activities they would find most relevant for the future development of their community; whether these should be included in the community’s Management Plan as an individual or collective activity; and if they should be carried out at a plot or community scale. Step 1:Put together a panel displaying different types of activities related to a more rural lifestyle. Step 2: Ask paticipants to mark onto the panel which lifestyle activities they would find most relevant to the further development of their community and whether these should be included in formal development planning. Participants should also decide if this activity should be carried out at a plot or community scale.